Perhaps angling for an entry in The A.V. Club’s Together Again series, Cillian Murphy has just joined the cast of Christopher Nolan’s latest film, Dunkirk. Nolan is directing the WWII drama from his own script, which is a fictional story set in the midst of the real-life Operation Dynamo, which was “a British military operation that rescued 330,000 British and French Allied soldiers who were surrounded by German forces” in Dunkirk, France. 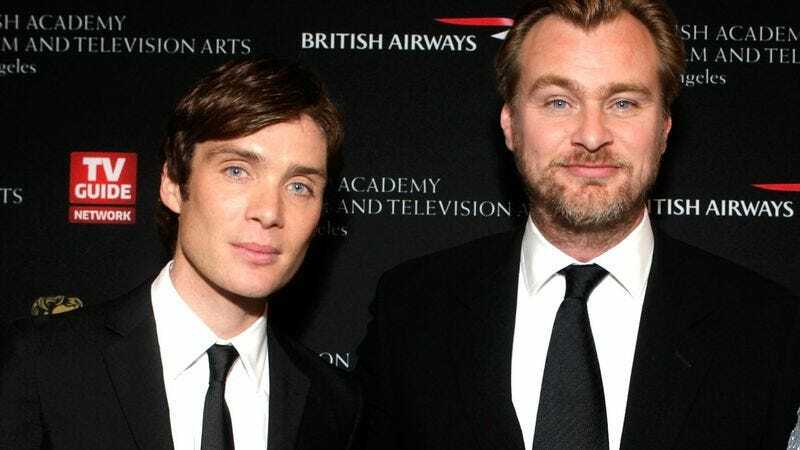 This latest project will serve as the fifth collaboration between Nolan and Murphy, who previously worked together on Inception and all three of Nolan’s Batman movies. There’s no word on who Murphy will play in Dunkirk, but maybe he can borrow a costume from his other upcoming WWII drama Anthropoid, which follows the Czech and Slovak soldiers who were sent to assassinate Nazi leader Reinhard Heydrich in 1942. But Dunkirk will see Murphy reunited with his Inception co-star Tom Hardy, who stars in the film alongside Kenneth Branagh, Bridge Of Spies’ Mark Rylance, and Harry Styles, who presumably auditioned for the film under its alternate title, Boy Band Of Brothers.